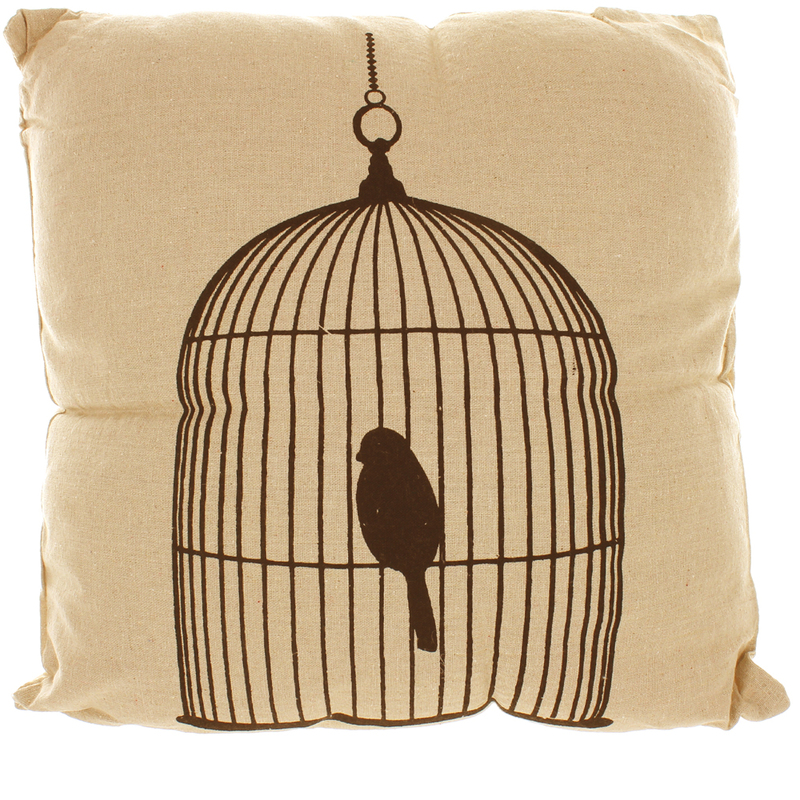 Natural linen look cushion with black printed design - Bird in a cage. 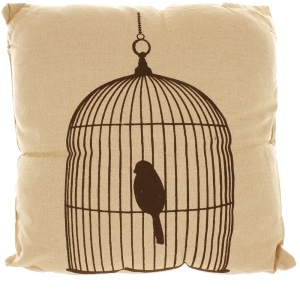 A natural linen look cushion with an attractive black printed design of a bird in a cage. It is approx. 44cm x 44cm and has a zip fastening. A lovely gift.